ATLANTA (AP) — Christian rapper Lecrae first came to Atlanta as a teenager for a youth conference in 1999, but what ultimately convinced him to lay down roots here was its thriving gospel music scene. "Atlanta is just a musical hub," said the 32-year-old, who moved from Houston three years ago. "There are a slew of producers, engineers, artists and writers. There's a wealth of outlets here, and it's a community of artists who are here as well. That's a major reason why I came here." Atlanta has become a key place of business for many of the heavyweights in gospel and Christian music, like Marvin Sapp, Mary Mary, Kirk Franklin and Jason Crabb. They flock to the city known to some as "gospel's Hollywood" because of its flourishing R&B and hip-hop scene, an evolving television market, a variety of Christian and gospel record labels, and a plethora of mega churches. Some of the industry's best, such as Francesca Battistelli, the group Casting Crowns, Chris Tomlin and Dottie Peoples, reside in the city or in the suburban areas. "Atlanta is becoming like the new Los Angeles," said Sapp, the chart-topping gospel singer from Grand Rapids, Mich.
"Everybody and their momma are shooting all types of films here," he added. "It's becoming a regular hotbed for the entertainment field. And because of that, gospel is coming here as well. People are connecting. It's becoming a very viable place for gospel artists to excel and be successful musically." 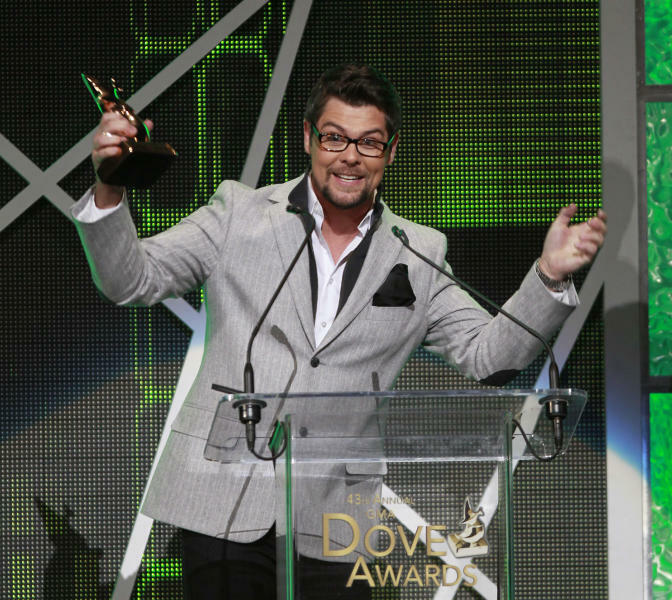 Recently, the 43rd annual Dove Awards took place at the popular Fox Theatre in Atlanta for the second straight year. The show, which celebrates Christian and gospel music, had all the glitz and glamour of a high-profile awards show, with more than 250 media outlets on the red carpet. The rising support of the genre in Atlanta is what convinced Gospel Music Association organizers to move the Doves to the city in 2011. The ceremony started in Memphis and was held in Nashville, Tenn., for more than four decades. GMA board chairman Mitchell Solarek said organizers felt Atlanta has a larger media reach with more radio and television outlets to support the show. With GMC — formerly the Gospel Music Channel — based in Atlanta, Solarek called the move a "no brainer." The network aired the awards in April. "Even though Nashville is touted as the music capital of the world, the media is not as broad there as it is in Atlanta," he said. "We wanted to take this (awards show) to a market that was broader than it was in Nashville, while still achieving our goal of musical diversity and still reach the bulk of our members. And Atlanta is just a drive away." That sounds good to the ears of Georgia officials, who have worked hard to promote the state as an entertainment destination. They offer one of the highest tax credits in the United States — up to 30 percent to those looking to produce shows, music videos and commercials in the state. "We are developing strategies to aggressively promote Georgia's strengths in the music industry including its wealth of talent, expanding digital media infrastructure, production facilities, live music scene and music education opportunities" said Lisa Love, the director of music marketing and development for the Georgia film, music & digital entertainment office. "The gospel and contemporary Christian-oriented assets in all of those areas will continue to be invaluable in the positioning of Georgia as an entertainment industry destination," she continued. Lecrae has made it his destination. Since he has lived in city, the rapper has become one of the most popular in Christian hip-hop. He also co-founded his own record label with Ben Washer, Reach Records, which is based in Atlanta. Other labels launched by artists based in Atlanta or in the state of Georgia include Christian rock group Third Day's Essential Records; singer/rapper Canton Jones' Cajo International; Dottie Peoples' DP Muzik Group; and televangelist Creflo Dollar's Arrow Records. Warner Music Group's Taseis Distribution is located in Atlanta as well. "It's easy to come here because of all the industry people are already here," said Henry Panion III, whose record label, Audiostate 55 Entertainment is based out of Birmingham, Ala., and is distributed through Taseis. "Atlanta has become an entertainment draw, and gospel is following suit." Atlanta is also host to BET's "Sunday Best," a gospel talent competition that awards the winner with a recording contract. It's hosted by Franklin along with judges Mary Mary and Donnie McClurkin. Tyler Perry's sprawling TV and film studio has also become a player in Christian music. Perry's inspirational-based stage plays and movies have provided an avenue for gospel singers to gain exposure. Tamela Mann, known as Cora in Perry's plays, movies and TV show "Meet the Browns," is also a gospel singer and won a Dove Award last year. "If you look at the underlying story of his movies, there's always something that talks about the goodness of the Lord," said Crabb, who won artist of the year at the Doves in April. "When you have a state like Georgia that's spiritually deep-rooted, more are going to want to be a part of what he's doing." Georgia has the most mega churches in the country behind California, Texas and Florida, according to the Hartford Institute for Religion Research's recent database. The number of mega churches in Georgia gives artists a chance to perform in front of congregations ranging from 2,000 to 20,000. Several high-profile pastors such as Andy Stanley, Creflo Dollar and Paul Morton normally offer live music without a traditional setting of a choir before a preacher's sermon. 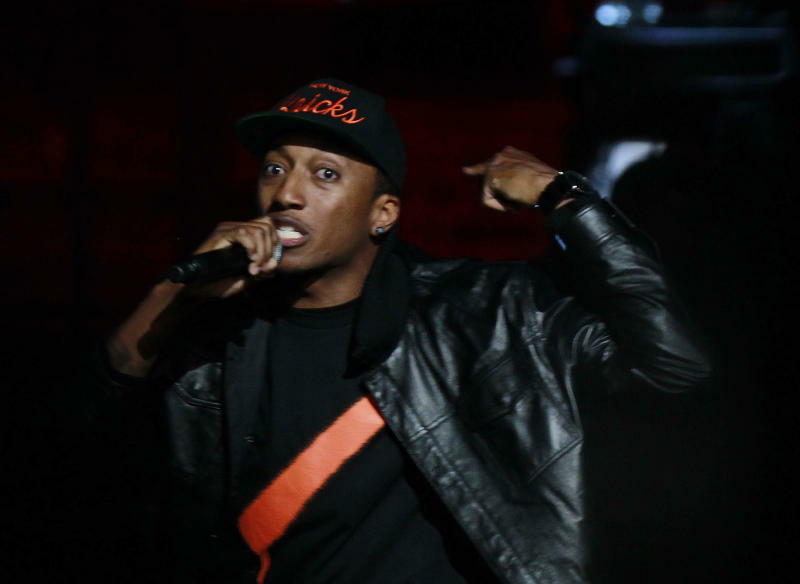 Lecrae feels he's in Atlanta at the perfect time. "It's been really good here," he said. "Just seeing people within the music industry from mainstream and even what others call secular music come together to use their talents for the Lord, it's great."